She arrived few weeks ago and finally I managed to make few welcoming pictures - here she is - long expexted Shauna Ultimate BJD [2008, LE75]. and below on pics made by me. Shauna came with three wigs, white cotton teddy and silver strap heels. I am totally in love with this doll, she's very feminine, etheral and strong at the same time. Shauna has hazel glass eyes, natural make-up and frankly speaking I was very surprised with this doll, I didn't expect her to be so beautiful, classy and intriguing. I am huge fan of Tonner's BJD's, I own all except Sydney (which I am planning to get very soon), and I can only hope that there will be more of such dolls in the future. I love their poseability, craftsmanship, changeable glass eyes, the resin they're made of is really high quaility and I really like it's color which is quite pale (I am very fond of of pale almost white-skin dolls). Also I love that they can stand and pose on their own without any stand. 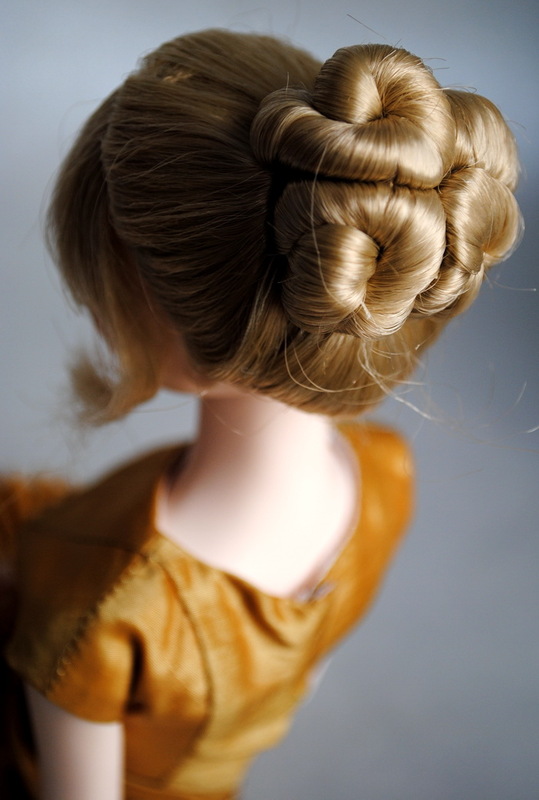 Personally for me Tonner's BJD's are truly THE ultimate 16inch fashion dolls - they have all the features and advantages of classic BJD's and at the same time they did not lose very recognizable and beloved by fashion dolls collectors 'Tonner touch'. Only one thing about Tonner BJD's was for me hard to understand - the fact that they all (except of Cinderella aka Lady G and Ash Glamour) came with awful white cotton teddy's. I would expect such expensive ultimate faboulous BJD 16inch dolls to come in unique breathtaking fashion or at least in satin/silk teddys like RTW dolls from older collection used to came. I stumbled upon your blog, first, let me tell you that all your dolls are beautiful. 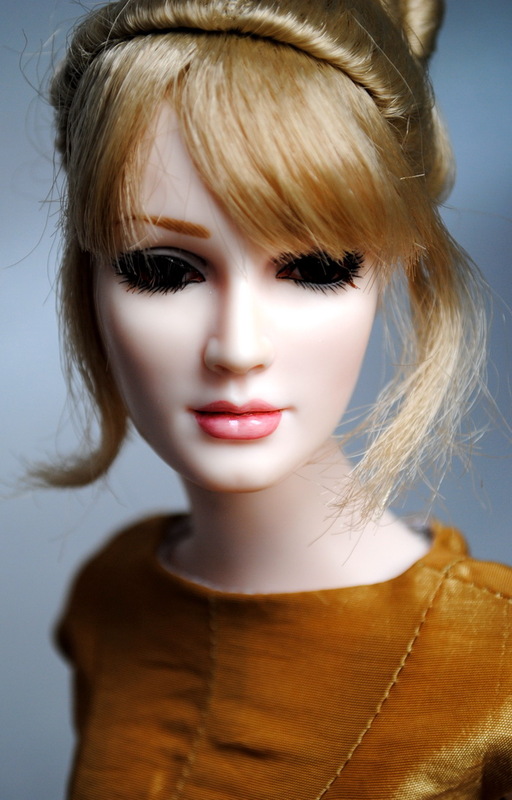 I fell in love with your Tonner BJD Shauna. I find it perfect. So I have a question: do you sell? No I guess not. Where have you bought and at what price? Is there a site that sells them? I myself of Tonner doll but I have always sought the BJD of my dreams, and there, I think I've found.